Andrew “Drew” Fogel, son of Jason and Bridget Fogel, has been named Spring Lake High School’s Rotary Student of the Month for April. He was honored by the Spring Lake Rotary at their April 13th meeting. Drew’s involvement spans a multitude of arenas: athletics, band, academics, church, and community. Drew was a 4-year member of the Varsity Swim Team, leading the team as a captain his senior year. He earned All-Conference honors three seasons and All-State honors both his junior and senior years. Also, this past fall, Drew was named school winner for the Wendy’s High School Heisman Scholarship. Two of Drew’s proudest moments were when he organized fundraisers “Swim for a Cause”, benefitting TCM, a local organization specializing in mental health services. During those two fundraisers, Drew was able to present TCM with checks totaling over $10,000. Music is another passion for Drew. He has been a member of the award winning SLHS marching band for four years, most recently serving as baritone section leader. He has been a bass player in jazz band for two years. 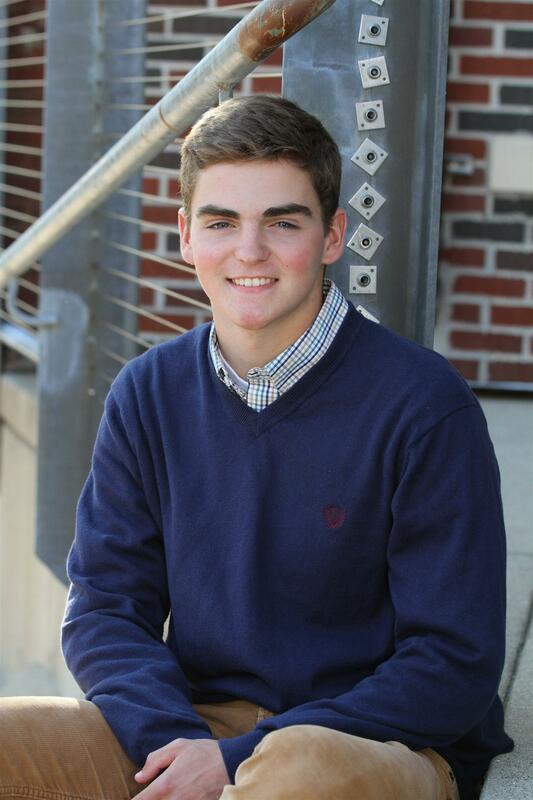 When Drew is not swimming or studying to maintain his 3.8 gpa, he is an active member of St. Mary’s Parish. He is a high school representative on the Pastoral Council, an altar server, and last summer he participated in the “Alive in You” mission trip to Milwaukee. Drew was a past member of Rotary’s Interact Club, the Be Nice Club and is currently a three year member of the National Honor Society. In his spare time, Drew enjoys going to the dog park and hanging out with his family and friends. He plans to continue his education at either Albion College or Saginaw Valley State University to pursue a degree in Exercise Science and Kinesiology.